Yosemite.com | Noble Studios, Inc.
Yosemite National Park is one of the world’s instantly recognizable natural wonders. From the ancient, giant sequoias to the breath-taking granite cliffs of El Capitan and Half Dome, Yosemite’s attractions draw people from all over the world who come to bask in the wonder of this great American landmark. Needless to say, when you’re one of the world’s top destinations, your digital presence still matters. 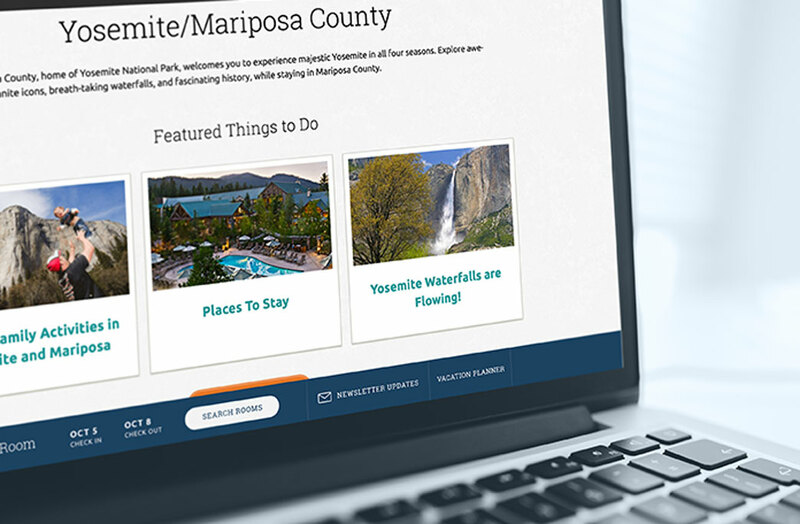 Yosemite/Mariposa County Tourism Bureau chose Noble Studios to redesign their website to create a compelling user experience and digital strategy to help showcase the park’s natural beauty to a wide range of visitors. With expertise in the travel and tourism sector, including work for Santa Monica Travel and Tourism, Newport Beach CVB and the Lake Tahoe Visitors Authority. 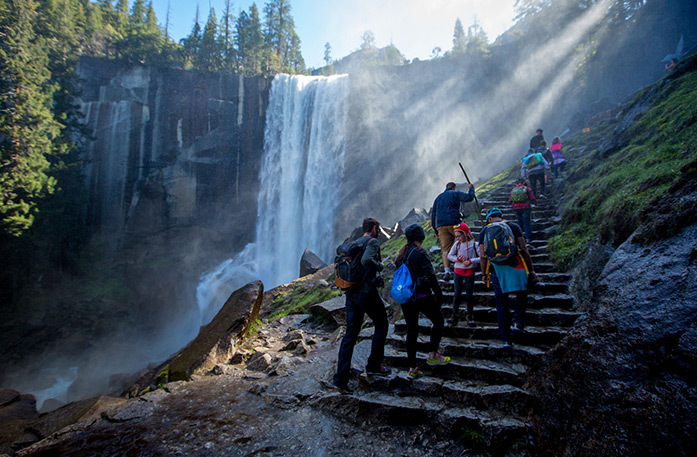 Working with Yosemite’s stakeholders, our strategy included goals of pushing the Yosemite experience to more shoulder season visitors, increasing site visitation and increasing audience exposure. 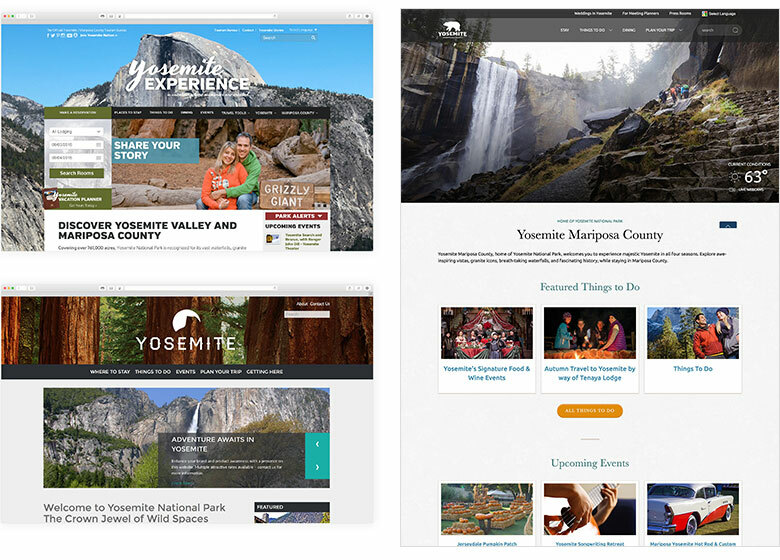 The previous state of Yosemite.com on the left vs. design refresh on the right. Part modern day-tripper, part rustic outdoor enthusiast, Yosemite’s diverse audience was the key motivating factor for the website’s redesign. Visually, we wanted Yosemite.com visitors to experience the feeling of actually being in the park, so we put ourselves in the shoes of someone planning a trip. We began with a strategic and technical overview of the organization’s preexisting digital presence. We implemented fresh brand imagery and optimized content effort to enhance the visitor experience. This was particularly crucial in light of Google having rolled out the second round of “Mobilegeddon,” a game-changer for mobile sites. 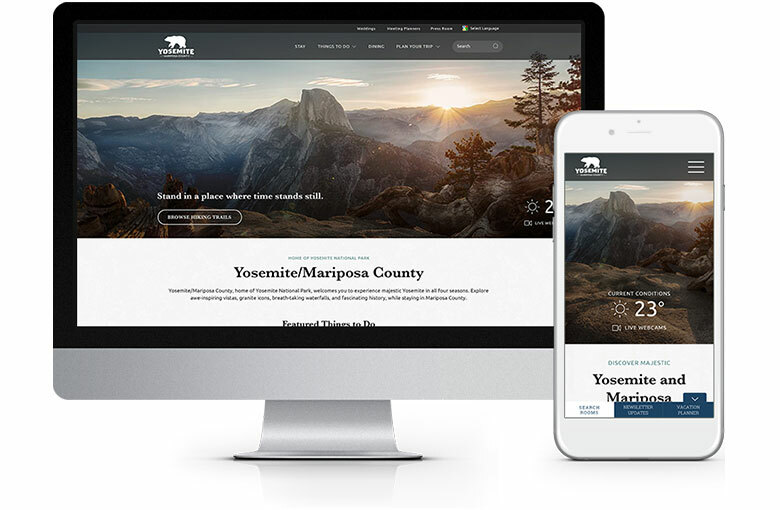 To remain competitive in today’s mobile-centric landscape, the new Yosemite.com needed fast page loading times and a responsive design, all of which it got. 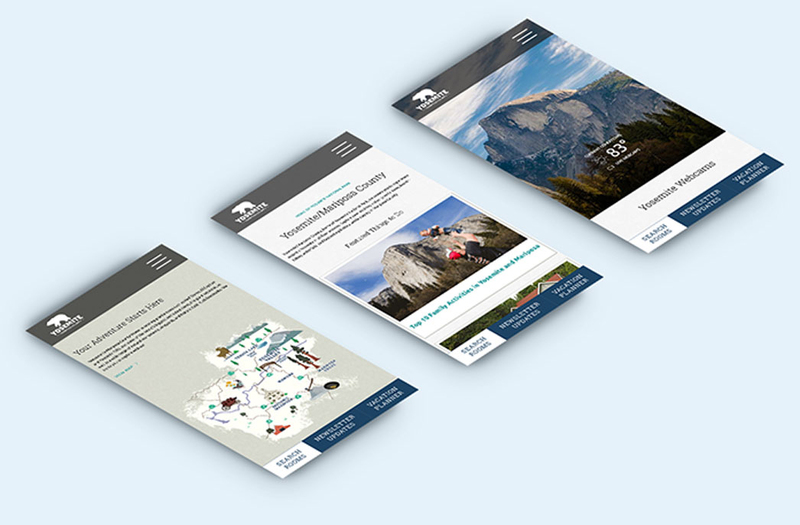 Featuring simplified navigation, an updated color palette and captivating imagery/video, the new site is built to let potential visitors immerse themselves in Yosemite’s landscapes while more easily planning their trips. 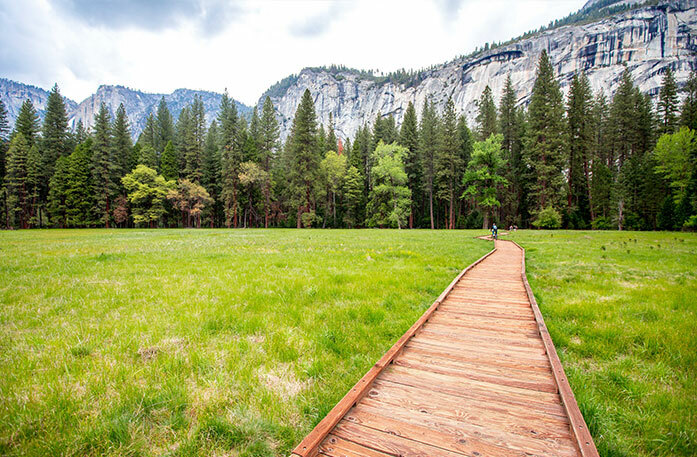 Easy to navigate “Things to Do,” “Places to Stay” and “Plan Your Trip” sections allow Yosemite’s visitors to plan their trip in just a few clicks, without wading through pages of less essential information. Those looking for family-friendly pursuits can browse the site’s blog, which features posts such as “Top 10 Family Activities” and more, while those more interested in nearby restaurants can select “Dining” from the main navigation to learn about culinary options. By adding maps on each page, we’ve made it easier for visitors to find what they want to do. When it came time to develop content for landing pages and blog posts, our Noblebots took a multi-pronged approach. We centered our plan for landing pages around target keywords and added them to existing copy on evergreen hiking pages, but we didn’t stop our journey there. We put fingers to keyboard to increase word count because, despite society’s rapidly shortening attention spans, longer articles can help visitors and search engines alike. Blog posts were tackled with a similar strategy, but this time, we focused on new high-volume keywords where Yosemite.com was under performing and wrote blog posts around those topics to increase traffic and site authority. 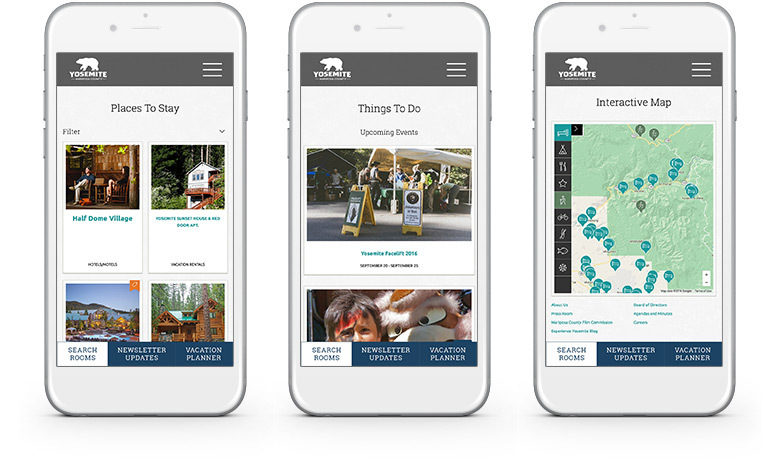 Thanks to this mobile-friendly, data-driven design, the new site will serve the park’s millions of annual visitors for years to come as they seek out the adventure of a lifetime. Noble designed the site’s image-rich search to be easy to navigate through customized filters and icons. Updated property detail pages give new life to the site by highlighting unique lodging options in full detail. The new “Featured Things to Do” section allows Yosemite’s content team to highlight activities based on their audience’s seasonal interests. Since its launch, Yosemite.com has seen a remarkable boost in organic search results as well as mobile sessions, page views and average session duration. The site has also seen a decline in bounce rate.